(b. 1971, Pelgrimkondre Suriname; Lives and works in Moengo, Suriname) Marcel Pinas is a contemporary artist who does not see himself in conflict with tradition. For him, tradition is perpetually in the present tense, already adapting, always anticipating the next step. Each of Pinas’s installations articulates the presence of the Maroon cultures of Suriname, a former Dutch colony and the first site of European exploration of the South American continent. 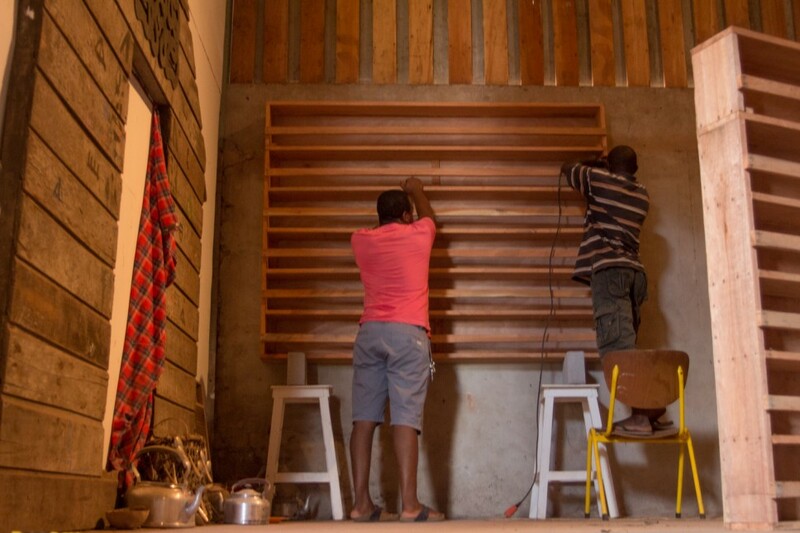 His leadership and participation in the rebuilding of the Maroon town of Moengo is itself a site-specific artwork. 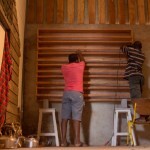 He also produces installation works that include traditional elements and artifacts of Maroon culture, which, whether in Paramaribo or in European galleries, become guided tours—not the display of culture or “difference” as entertainment, but as a sense-based reconstruction of presence and memory. It is a personal concern that takes on wider political connotations. Installations consisting of multiple—often handmade or assembled—components infer the hands and minds of collaborators from his community.